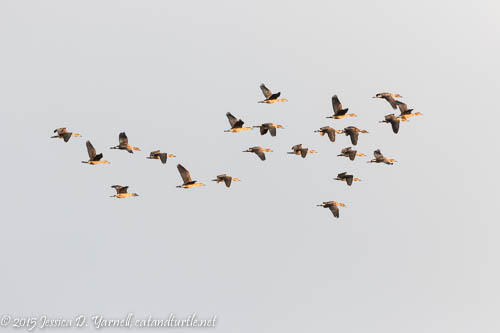 We were very happy to see a total of 32 Fulvous Whistling-ducks during the field trip yesterday. That’s up from 4 during last month’s Christmas Bird Count. Yesterday was really my first day to hear the call of the Fulvous repeatedly, and I really liked the almost metallic quality of their calls. 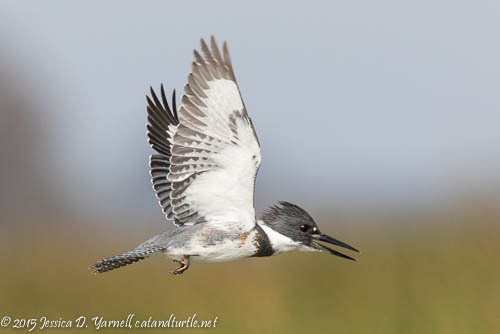 It’ll be handy to recognize their call, as the Fulvous Whistlers are another bird that I often hear before I see. 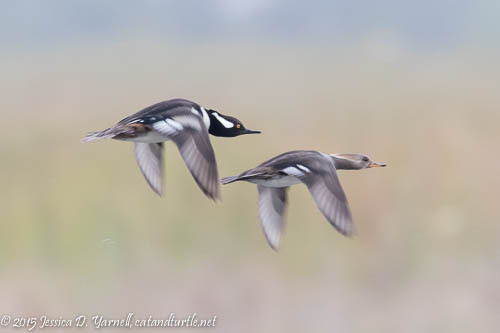 The ducks at the Outfall Wetlands are extremely skittish, so we got our best looks at them as they blasted off and circled overhead. 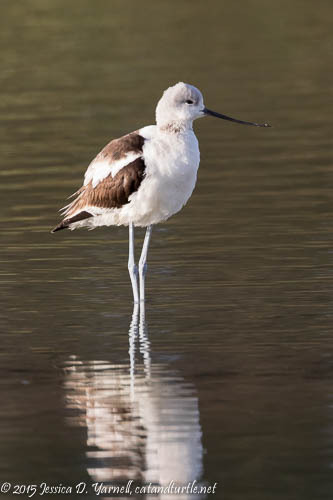 The American Avocet is one of the “good birds” of the wetlands. It’s not common to find avocets so far inland as Polk County. Yesterday I didn’t see as many as I did on the Christmas Bird Count, and they stayed fairly far off in some of the ponds. Still, who can resist a good avocet shot? 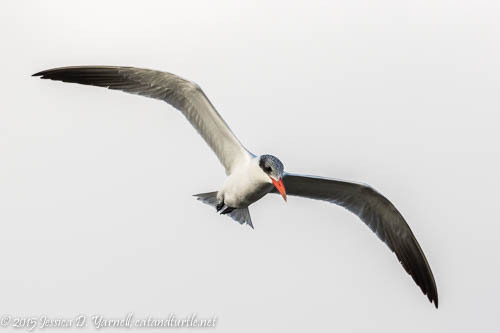 Caspian Terns are pretty common at the Outfall Wetlands. Yesterday they were in with a group of gulls, in a “feeding frenzy” that was such fun to watch. A bird would grab a fish, and then everybody else would dive after that bird… Look at the bright reddish-orange beak of the Caspian! The birdie celebrities at the wetlands right now are the Snail Kites, who are fairly new residents. During the Christmas Bird Count we counted 5 different Snail Kites, and yesterday we saw at least 3. 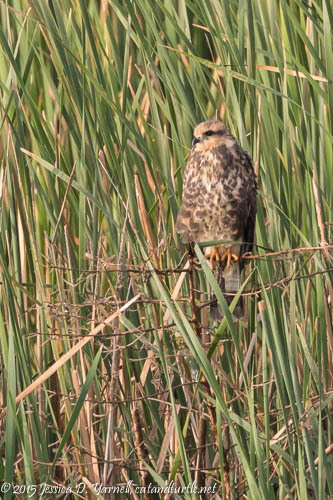 This juvenile bird sat obliging in the reeds for us and let us photograph him. 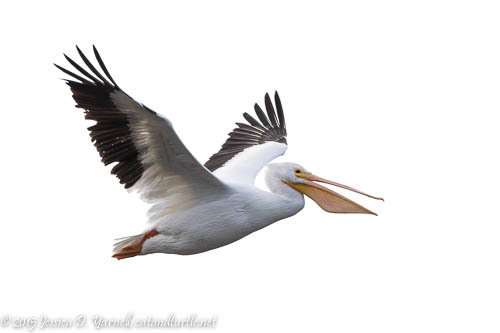 Wouldn’t it be cool if they nest at the wetlands? With the apple snail population booming, the birds would have no problem finding food, and the wetlands seem like a great place to raise a family of kites. Maybe I’ll find out if they are nesting at the next field trip! Definitely a fun morning! You nailed that Kingfisher! You put together a super album of images, Jess!! Good seeing you!! 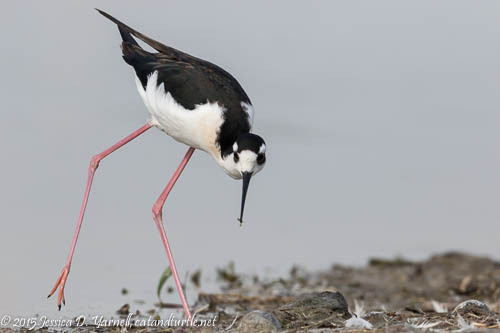 Superb series which really shows off some the diversity of the wetlands! Yep, that Kingfisher image is special! Good job!